You know I love sugar. You know I also think it's evil. A coworker showed me an article last night that really drove home that it actually might be the most evil substance on Earth! Maybe not, but really. Bad stuff!!! These posts are old and I haven't read them in a while so I don't know if they need updating. But really my thoughts are this - if it contains glucose and/or fructose, it's a sugar. Even if it has a fancy name on it like Agave. Know your sweeteners and understand how glucose and fructose are processed in the body! Then decide which ones you will allow yourself to eat. I know it's been a while since I've posted, but I've been stock piling photos in my iPhone with the plan to write and life just keeps getting in the way. Last I wrote was a month and a half ago and I was just starting the slow slide away from the Paleo diet... which turned into a jump of the Paleo cliff into a sea of sugar and processed crap. Gluten free crap, but crap none the less. I blame the boy, he planned a party based solely on DESSERT!! The chocolate chip cookies and the chocolate swiss roll are my GF treats. That's the Shabtai Gourmet swiss roll right there, my first time trying it. Ohhhh my. Heaven!! I finished off the entire thing myself over a period of three days. Better than one day I suppose. 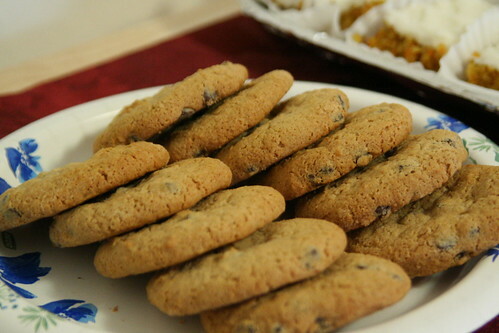 The chocolate chip cookies are from All Can Eat bakery and cafe here in Randolph, MA. The day before the party I went there and sat in the cafe for lunch for the first time. I have been meaning to write about this company for a while now as they've been open for a little over a year and I absolutely LOVE them. I've eaten many of the foods and they are all delicious. 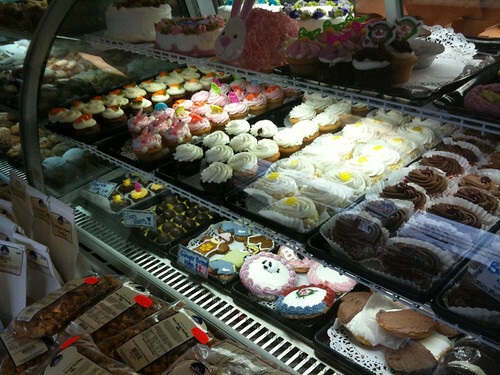 It's an entire bakery and cafe dedicated to gluten free eating, they also have many dairy free options and also a few other allergen friendly foods. I brought a cake to Easter yesterday and it was awesome. I wish I had taken a picture! 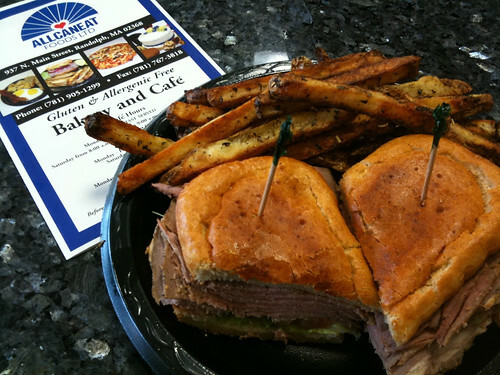 Here's the sandwich I ordered last weekend, roast beef on a gf/df sub roll with oven baked herb fries on the side. This was the best take out lunch I've had in years. Mostly because it was on bread and I didn't have to make it myself. I love this place!! Then of course I had to grab a cupcake for dessert before I left. I bought the cookies the next day from the health food store, you can buy most of their stuff in many of the local stores including Whole Foods. 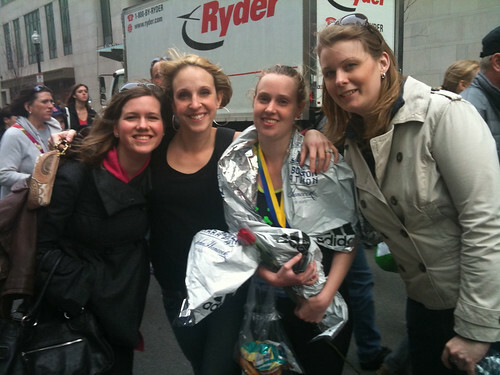 Then last Monday I went to see the Boston Marathon, my roommate ran it for the first time, she finished in 4 hours and 41 minutes!! I am so proud of her! It's such an amazing accomplishment. This is the 3rd friend that has run the marathon, it's a really fun experience. 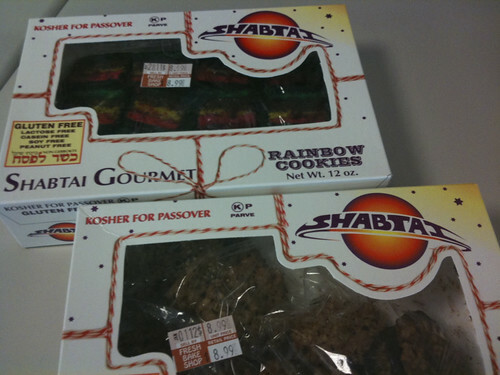 One of my co-workers was celebrating passover and bought these because they're Kosher and a good treat for Passover. 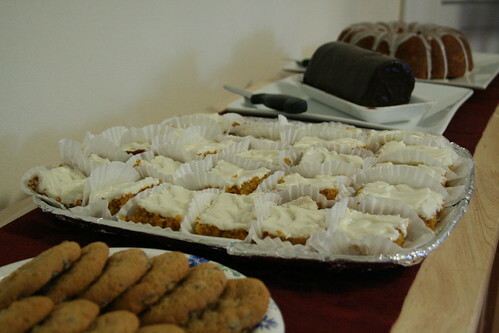 She brought them in to share with everyone in the group, but knowing that I'm GF she made sure that I saw them first. I was so happy! These are both very good. So needless to say, it's been a very high glycemic month and a half. Now the threat of bathing suit season is nipping at my love handles. I told the boy that yesterday was the end of it! Then I ate half a tub of dark chocolate today... I guess tomorrow starts my quest for a bikini worthy body. We're bad influences on each other though, we both are fans of wine weekends and we love to eat! But he also loves the gym so that helps. I am finding my love for it again... kind of. And we'll try to keep the dietary damage to a minimum. He's got a bad stomach too so we're working on being healthier in general to keep that in check!